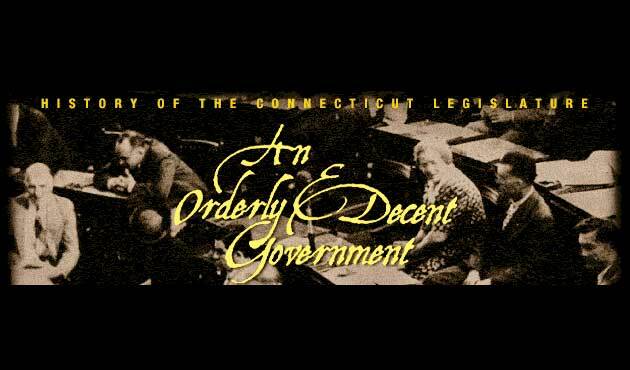 Connecticut’s first legislative body, the General Court, had only one chamber and exercised judicial as well as legislative responsibilities. At its April sessions, a governor and six magistrates were chosen from nominations submitted by the towns. They were joined by four deputies each from the existing towns of Windsor, Wethersfield, and Hartford. 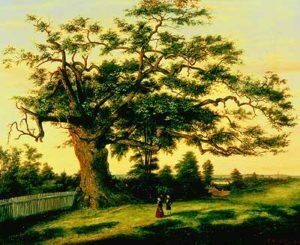 Basing legislative representation on the town, rather than the individual, would shape Connecticut’s political affairs for over 300 years. Fearing a tightening of royal control, the General Court sent John Winthrop Jr. to England to clarify the colony’s legal status. In 1662, he successfully negotiated an extraordinarily liberal charter which preserved the colony’s distinctive tradition of self-government from royal interference. In 1701, New Haven petitioned the General Assembly for status as the colony’s co-capitol. To balance competing regional interests, the Assembly voted to hold the October session in the New Haven Meeting House and the May session in Hartford. This alternating system continued for over 170 years. A critical aspect of this reorganization remains in place today: both houses had to concur to enact a law. The same act renamed the legislature the General Assembly, but the term Common Court remained in widespread use for a century more.